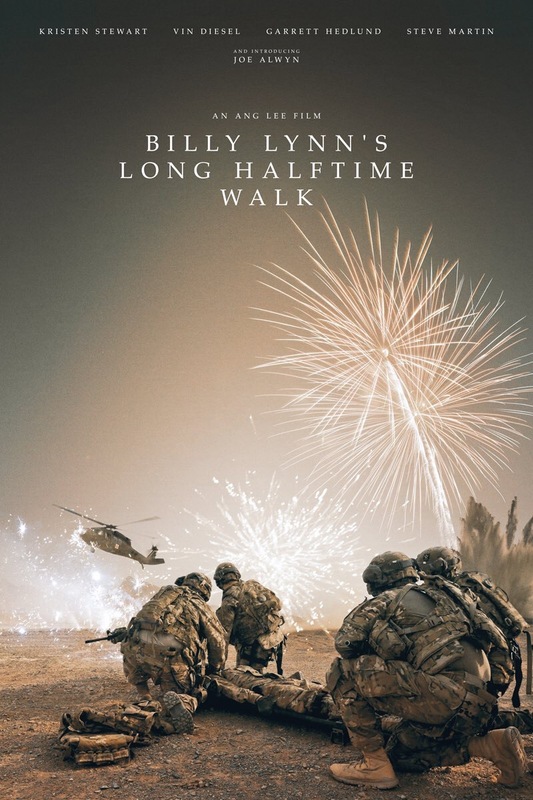 Brief Synopsis – A group of celebrated heroes on a victory tour during the early days of the Iraq War must deal with lots of bureaucracy as they are taken to a sporting event as the guest of honor. My Take on it – This film might have a strange title, but it is quite poignant in it’s themes. I really enjoyed the way that the film was structured because it showed us the present and the past in order to give us the full scope of the story trying to be told. It does take a bit of time to get moving, but once it does, the story flows so well. They do a great job of showing us what soldiers think about during the time of war and also how civilians feel about that exact same thing as their lives continue as normal during the same time frame that war wages on thousands of miles away. This film shows us how different people think about the ideas and ideals of heroism in one’s own mind as opposed to how others view the same thing. The cast is mostly unknown actors which helps make the story feel even more real and genuine. Great to see Steve Martin here in a role that is quite different from what we are used to. Bottom Line – Really liked the way that they structure this film. Takes a bit of time for the film to reach it’s momentum. Great cast of mostly unknown actors helps make this feel so genuine. Loved the way that this film portrays the idea of heroism in ones own mind vs heroism in the minds of others. It also does a great job exploring the idea of how life goes on while a war wages on thousands of miles away. Recommended! I had high hopes for this one, for cinematic technical reasons, and it was very impressive in that regard. I was surprised by the emotion though… and from Vin Diesel no less. His “I love you” to his platoon was initially almost cheesy, but with each repetition it hit harder. I also like how this film explores the lies we tell ourselves (to kill others, to not be afraid, to defend our choices, to keep our heart from falling apart). I love how subtle they handle the huge lie of the story (how someone died and how he said he was by their side and felt something spiritual). I like how we hear about the past, then see it, and discover how different the stories (aka lies) we tell are. While this isn’t Top 10 type material, it was worth watching for sure.